An update of the label's cult 'Highland' boots, Stuart Weitzman's 'Tieland' style is set on a manageable 65mm block heel that's ideal for days when you'll be on your feet for hours. 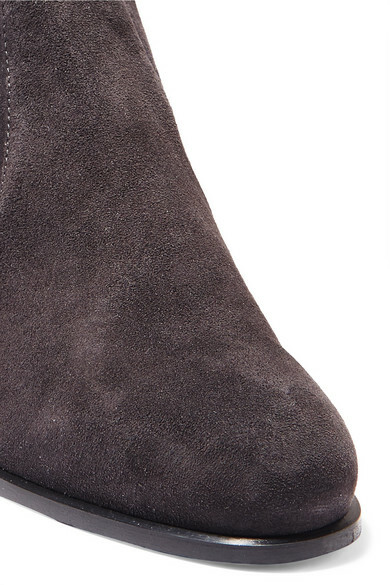 This dark-gray pair has been made in Spain from stretch-suede and has slightly adjustable ties at the back. Wear them with everything from skinny jeans to flowy dresses. Shown here with: Isabel Marant Skirt, ANNA QUAN Shirt, Victoria Beckham Sweater, BY FAR Shoulder bag, Isabel Marant Belt.